On behalf of the Parishioners of the Saint Andrew Greek Orthodox Church, welcome to our Parish. As you explore our website, please remember that you are always welcome to join us for our services. We hope that you find our website helpful in understanding the Orthodox Christian faith and gives you a better glimpse of our church family. If you have any questions please feel free to contact our church. Have a blessed day! We meet for worship every Sunday morning starting at 8:45 AM for matins and 10:00 AM for divine liturgy followed by a light luncheon in our fellowship hall. For information on our Lenten and Holy Week services please contact the Church office at (805) 546-8337 between the hours of 9:00 AM - 5:00 PM, Monday through Friday. 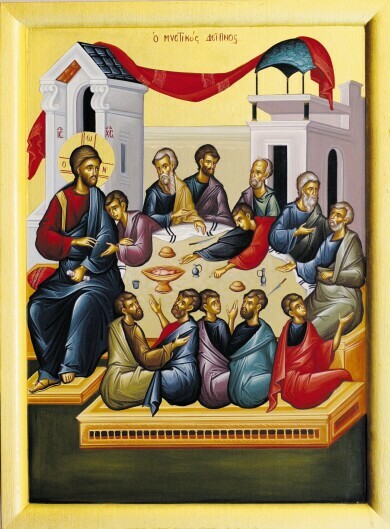 If you would like to make a donation to St. Andrew you may send a check made payable to St. Andrew Greek Orthodox Church to 232 E Foothill Blvd San Luis Obispo CA 93405, or you may click on the Donate button below to go to the PayPal secured website.